Today’s Transitions is recognizing local services and communities whose innovative ideas are improving the quality of life for seniors and caregivers. Read about one of our four Today’s Transitions Innovation Award winners who won in the Innovative Structural Design category. Good Samaritan Society gives rehab patients a safe environment for easing themselves back into their daily tasks. Its post-acute center provides an entire living area designed to help patients regain the independence they need before returning home. The center’s therapy gym has multiple outdoor walking surfaces for learning to adjust to walking on brick, gravel, grass, and sloped areas. 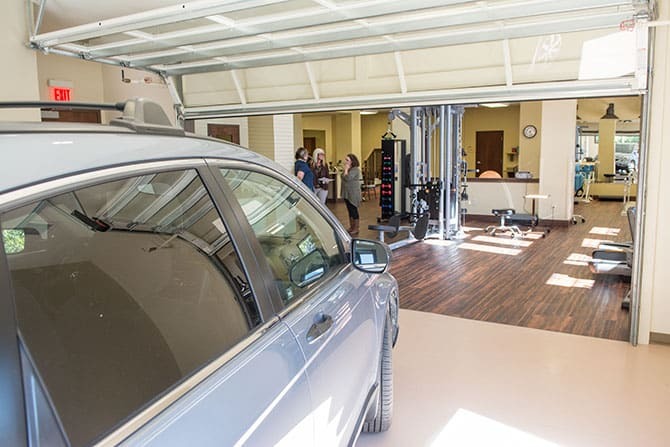 Good Samaritan has an indoor garage for rehab patients. 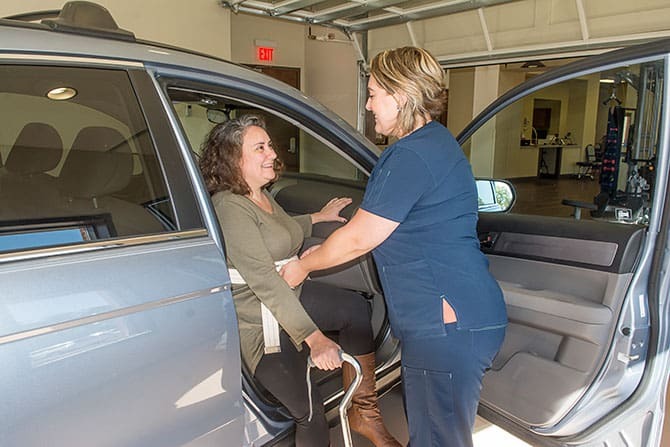 “They can bring their own vehicle from home so they can learn to get in and out of their vehicle post surgery,” says Bill Shoulta, director of community relations at Good Samaritan Society — Jeffersontown. The gym’s bathroom also includes a standardized tub, grab bars, and a bench for patients who might need extra help stepping into the tub. Instead of staying in their room, patients can prepare meals in the fully operational kitchen. “They can get their own snacks. So it’s not like they have to push a button to get waited on. The whole concept is to help them develop a sense of self sufficiency,” Shoulta says. Read more about our Today’s Transitions Innovation Award winners in the Healthcare Services , Support Services and Therapeutic/Mobility Services categories. Also, read this feature on ways of improving your mobility for different situations.